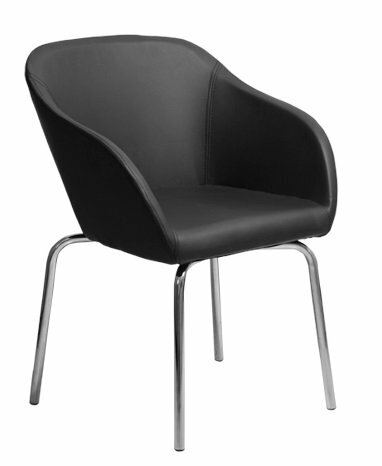 The Gamma Visitor Chair features a Simple one piece comfortable moulded Back Shell. With a lightweight strong construction the Gamma is a neat and tidy cost effective addition to reception areas or work spaces requiring guest seating. Featuring a one piece Polyurethane Shell and Chrome Alloy 4 Leg Frame. The Gamma can be upholstered in your choice of fabric.